Vakhtang Jordania (born Tbilisi, Georgia on 9 December 1942 - died Broadway, Virginia 4 October 2005) was a Georgian conductor. He was born in Tbilisi where he studied piano from the age of five. After graduating from the Tbilisi Conservatory, he studied symphonic and operatic conducting at the Leningrad Conservatory, graduating with honors. A top prize at the 1971 Herbert von Karajan Competition catapulted him to the highest circle of Soviet artistry. From his assistantship with the legendary Yevgeny Mravinsky until his defection to the United States in 1983, Mr. Jordania held positions as music director of the Leningrad Radio Orchestra, the Saratov Philharmonic, and the Kharkov Philharmonic. The Tchaikovsky Competition was under his baton twice. Conducting for more than one hundred concerts a year, he regularly toured the USSR, collaborating with musicians such as David and Igor Oistrakh, Leonid Kogan, Dmitri Shostakovich, Kiril Kondrashin, and Emil Gilels. In 1983, he and violinist Viktoria Mullova went for a tour of Finland, having first enlisted as her pianist. They took a taxi over the border to Sweden and defected to the West. Immediately after his defection, he made his Carnegie Hall debut, which was hailed by the New York Times as "a confident and spirited performance ... the full house leaped to its feet." Success followed in England, France, Germany, Austria, Holland, Belgium, Spain, Japan, Korea, Ireland, New Zealand, Australia and South America. In the United States, his appearances in New York, Los Angeles, Salt Lake City, Portland, Minneapolis, Rochester, Denver and Fort Worth brought more critical acclaim. 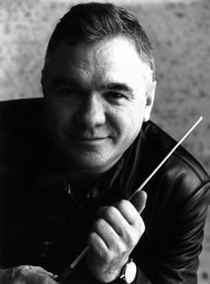 Since his defection, he has held music director and/or principal guest conductor positions with the Chattanooga Symphony and Opera, the Spokane Symphony, the KBS Symphony Orchestra in Seoul, and currently with the Russian Federal Orchestra of Moscow, Daegu City Symphony of South Korea, the St. Petersburg Festival Orchestra of Russia and Kharkov Philharmonic of Ukraine, with whom he is appointed for life. Jordania's homeland, the Republic of Georgia, recently bestowed on him the highest award given to outstanding Georgians, the Ordin of Honor. Also, Ukraine awarded him their highest Medal of Honor for Musical Excellence. Maestro Jordania has regularly conducted at many prestigious opera houses in Russia, the United States, the Ukraine, and Korea, including the Bolshoi and Kirov Theaters. In the United States he conducted the North American premiere of Dvorбk's Rusalka. He has recorded for Melodiya, Koch International Classics, Soundset Summit, Helicon, Trained Ear, Cantabile, and Angelok Classics, and been nominated for Grammy Awards. He also recorded many soundtracks, including the award-winning film Dersu Uzala, directed by Akira Kurosawa. Three of his compact discs have been nominated for Grammy Awards (Rachmaninoff Symphony No.2 with Russian Federal Orchestra, Angelok Classics; in five categories for Hovhaness Symphonies Nos. 46 and 39 with KBS Symphony Orchestra, KOCH International Classics; and music of James Cohn with Latvian National Symphony, XLNT Music). In 1999 and 2000, the IBLA International Competition hosted the Jordania Prize, which was named after Vakhtang Jordania, and designed to further the knowledge of young artists who compete in worldwide competitions. Maestro Jordania was honored in 2001 with the creation of the Vakhtang Jordania International Conducting Competition in Ukraine. Since then it has been an annually held event, which attracts contestants from over 25 different countries. In 2006 the winners were James Feddeck (USA), John Traill (UK) and Sasha Mдkilд (Finland).